“The internet has had a huge influence on the way I work. Popular culture is absorbed, found and investigated with great speed and this in turn has I think, produced a faster changing concept base. 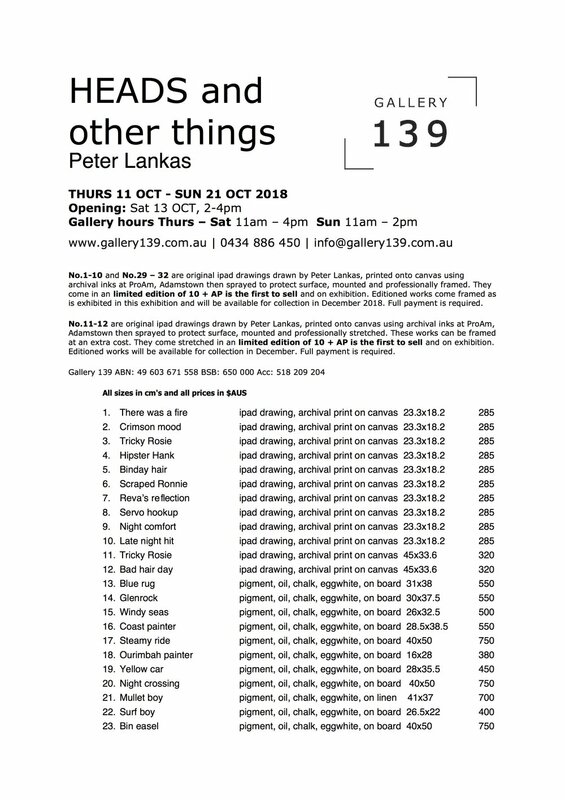 AN exhibition of works, Heads and Other Things, by Newcastle artist Peter Lankas will open at Gallery 139 this month. The show will pull together works created while teaching life drawing classes, including a series of portraits. Many of the works were initially sketched using an iPad, before being fleshed out onto canvas in oil paint.